Fantastic Location! 2 bedroom/1bath with spacious living room and separate dining room with hardwood floors. Affordable condo living in Amherst convenient to colleges, shopping and minutes from downtown Buffalo, UB Medical Campus & public transportation. 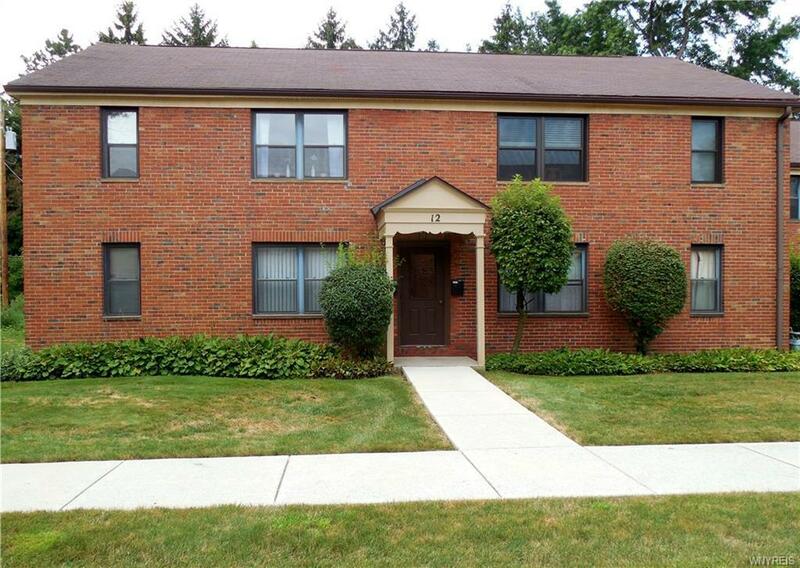 Walking distance to Daemen College, SUNY Buffalo South Campus, VA hospital. Updates in the past 3 yrs include New remodeled Kitchen, new furnace/AC, new stove, dishwasher and microwave too! Room on a private balcony for a bistro set. Garage and storage unit included. Garage has newer electric door opener. Why rent when you can buy this great Condo! Call now to set up your appointment!!! Listing information © 2019 CNYIS, GENRIS, WNYREIS. Listing provided courtesy of Chubb-Aubrey Leonard Real Estate.